Mental illnesses are invisible illnesses that can affect anyone. 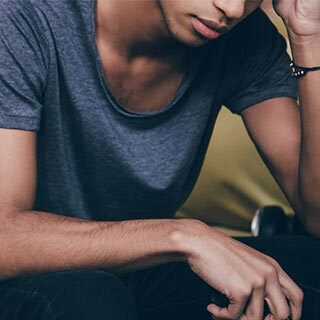 As a college student, you feel a unique set of stressors and those, in turn, can influence your mental health or aggravate a preexisting condition. If you are dealing with anxiety, depression or suicidal thoughts, post-traumatic stress disorder, or an eating disorder, talk to a mental health specialist. They will help you understand that you’ve done nothing wrong to have one of these diseases and work with you to create a treatment plan to combat your illness. All are treatable. Feeling anxious is completely normal in some circumstances, but if you feel anxious all the time and about issues that wouldn’t normally cause anxiety, that indicates something else is going on. It may affect your relationships, academics, or job performance and, as such, shouldn’t go undiagnosed. Speaking with your doctor or a mental health professional about these feelings can result in a treatment plan that includes medication, therapy, or both. Eating disorders can affect anyone, male or female, of any age. People who feel ashamed of their bodies and strive to meet an unattainable “ideal” body shape may be suffering from an eating disorder. 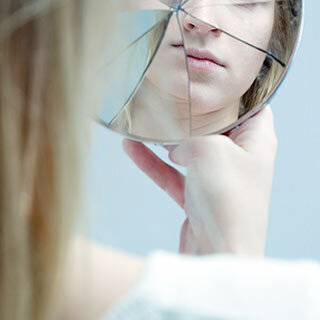 Four common eating disorders are anorexia nervosa, bulimia nervosa, binge eating disorder, and muscle dysmorphia, and all four have detrimental effects on the human body. If you or someone you know has an eating disorder, getting treatment from a mental health or medical professional is essential to avoid brain damage, digestive tract damage, dental problems, heart disease, and/or organ failure. Persistent feelings of doom, negativity, or sadness may indicate that there’s something more going on than just having a bad couple of days. If you’re feeling temporarily down, try meditation, exercise, dates with friends, and planning something fun for the future. 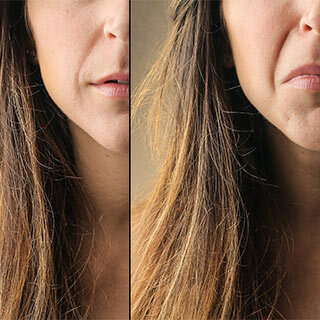 If your feelings are long-lasting, it’s probably time to see a professional. Depression, which may exist just seasonally or exist persistently year round, is treatable with medication, therapy, or both. Depression can be so overbearing that it leads to thoughts about taking one’s life, as can feelings of guilt, stress, or sadness. If you or someone you know is having suicidal thoughts, there is help. Call the National Suicide Prevention Hotline to speak to a trained representative, or, if the situation is dire, call emergency services. Talking about suicide, researching methods of suicide, and saying goodbye are all warning signs of suicidal thoughts. Seek out help and treatment for yourself or others; things will get better. Everyone experiences mood swings, but when mood swings become extreme and persistent, they could indicate that something larger is at play. Bipolar disorder is sometimes mistaken for depression or schizophrenia, but is different from both in that it is characterized by manic and depressive episodes. Manic episodes are characterized by feelings of elation, elevated energy levels, and insomnia, while depressive episodes are characterized by feelings of hopelessness and worry, forgetfulness, and trouble concentrating. Bipolar disorder is treatable with a combination of medication and talk therapy. 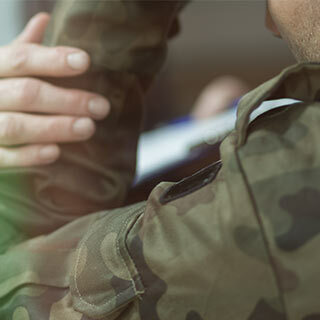 While post-traumatic stress disorder (PTSD) is commonly associated with military veterans, anyone can be affected. 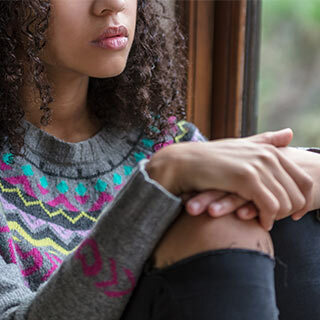 Having experienced a trauma during your life can increase your risk for PTSD and the associated symptoms: flashbacks, panic attacks, changes in self-esteem and mood, and self-destructive behaviors. Though scary to experience, PTSD is a treatable illness. Mental health professionals may suggest therapy or antidepressants to lessen the hold the trauma has over an individual. If you are struggling with a mental illness, there are plenty of resources available to help you cope. Take advantage of your friends, family, and the facilities and people who are available on campus. The campus health clinic and local mental health institutions are staffed by counselors, doctors, and therapists who will listen to you and help you get treatment. If you’re supporting someone else who is suffering, show unconditional love and listen to them, but be sure to take care of yourself too.